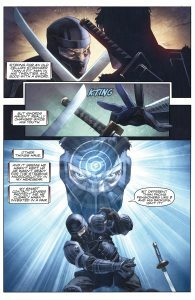 In Ninja-K #3, Colin King and Ninja-C finally come face to face with each other, and some hard truths. It opens up with them initially clashing swords. Despite his age, Ninja-C almost matches Colin’s speed and strength. Colin uses his gadgets to gain a brief upper hand but when he hears Ninja-C quote Ninja-D, he decides to use a different approach. Colin asks Ninja-C why he’s been hunting down and killing his predecessors. Seeing Colin’s unaware of the truth, Ninja-C tells him it’s because of the Acclimation Bureau. He tells Colin that it’s a secret unit within MI6 that committed, and still commits, unforgivable acts. What is the Acclimation Bureau? And why is Colin unaware of this unit? Over time, Ninja-K has become one of my favorite characters. Yes, it’s easy to enjoy Ninja-K on a surface level because he’s a ninja with cool gadgets. But it’s the deeper elements to his character, and the world that he moves in, that makes him memorable. 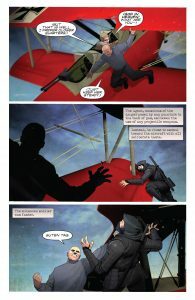 And the direction this issue takes in revealing Ninja-C’s motivation behind killing other agents is indicative of how immersive the character’s world is. The customary fight between the two ninjas was entertaining for what it was. The subtle attacks and counterattacks mixing skill and high-tech gadgets is always well-written. And as usual, I found myself engrossed in the movements. However, the issue became even more intense once the fighting stopped. And that’s because the story started to delve into the Acclimation Bureau. And I loved this backstory. It left me disturbed. In a good way. Considering how much MI6 invests in its agents, it makes sense they want to protect their assets. However, the tale that Ninja-C told revealed a web of continuous torture, psychological abuse and manipulation a scale that would explain his actions. Some of this even gave Colin pause. Was Ninja-C Colin’s future? Or were events in Colin’s life the result of the Acclimation Bureau? I won’t give anything else away, but hopefully I can pick my mouth off the floor before the next issue drops. 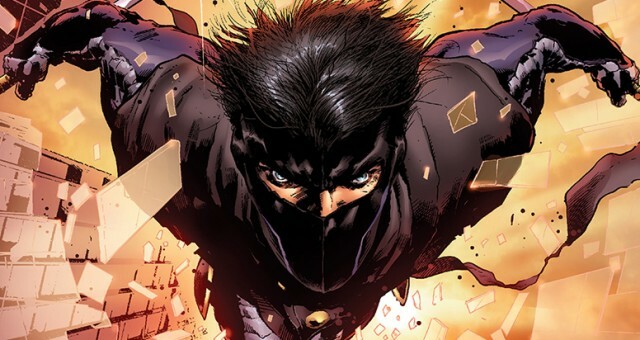 Ninja-K #3 is an exciting issue, and not just for its action, but its engrossing story. 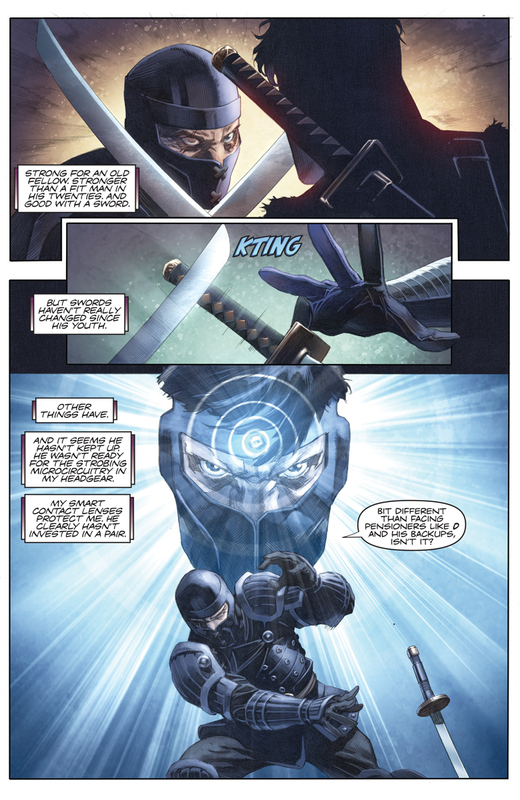 Ninja-C is fleshed out very well here, and his motivations are compelling. It makes him a more interesting villain/character. This issue even makes one re-examine earlier Ninja-K stories to see what could have been missed in terms of the Acclimation Bureau. And I can’t wait to see what happens next.